What happens when a strong advocate for one side of a controversial issue in science publicly announces that he or she now believes the opposite? Can the message affect the views of those who witness it – and if so, how? Although past research suggests that such “conversion messages” may be an effective persuasion technique, the actual effect of such messages has been unknown. 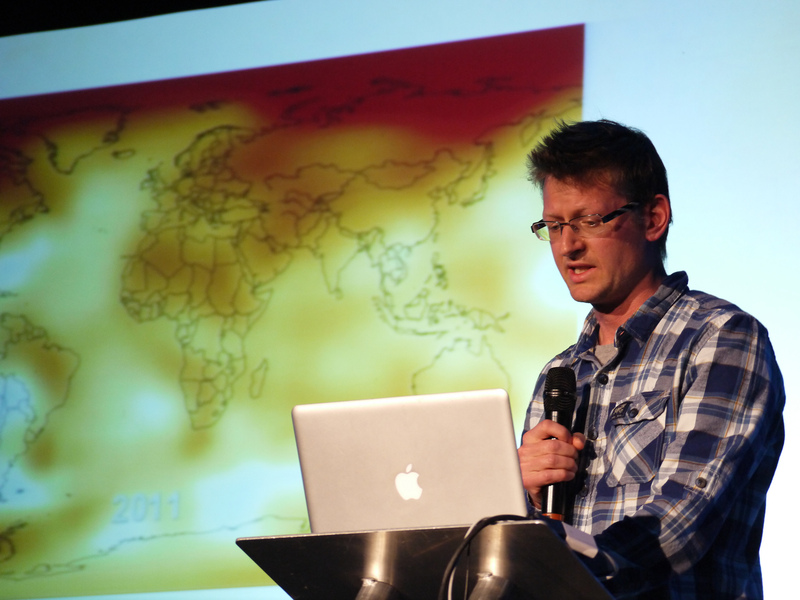 Mark Lynas presenting at the 2013 QED conference in 2013. Credit: Flickr user zooterkin. In 2013, Lynas, a journalist and activist who had opposed GM crops, spoke at the Oxford Farming Conference about his change of belief. In the current experiment, APPC researchers used video excerpts from Lynas’ talk and showed them to more than 650 U.S. adult participants, who competed a survey about it.